Northland Imaging is the leading provider of diagnostic imaging in Kansas City and offers two locations in the greater Kansas City area. These locations provide the convenience people have come to expect from a healthcare provider, with plenty of ground-floor parking — no need to navigate multi-story hospital parking garages, hectic traffic patterns in and around the campus, elevators, stairways, signs and all sorts of other confusion! 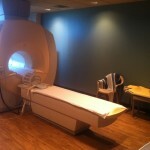 Northland Imaging has recently opened our 2nd and NEWEST clinic in the Liberty area. Our newest clinic is located at 9151 Northeast 81st Terrace, just southwest of Highways I-35 and 152. At our North Oak Trafficway location, Northland Imaging provides mid-field open sided MRI, the patient-friendly magnet for those who may feel anxious or nervous about a traditional closed MRI system. Our hours are Monday-Friday 8:00 a.m. – 6:00 p.m. Saturday morning or weekday late hours are available with advance notice requests. We are flexible in scheduling. 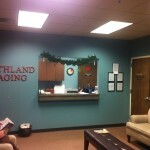 Please call 816-452-4674 for information or visit www.northlandimaging.com.